You may picture special grant-funded projects, fellowship programs, specialized roles in schools, or advisory positions for a district, state, or non-profit. For many, the term “teacher leadership” suggests a formal designation system through which teachers will assume roles designed to influence the quality of teaching throughout their schools or beyond. Whether teachers perform these roles in lieu of classroom teaching or on top of it, they hold a special status that may lend them authority and support for performing their unique role. Meanwhile, in the background, other teachers also routinely influence the quality of teaching beyond their own classrooms. This is because teachers, who are professionals with a service ethic and a moral purpose, want their students to succeed by any means necessary. If a colleague across the hall can help them, they are not concerned about whether that teacher holds a formal role or has participated in a selective program. To be sure, there are key reasons why formal teacher leader roles are essential in education. 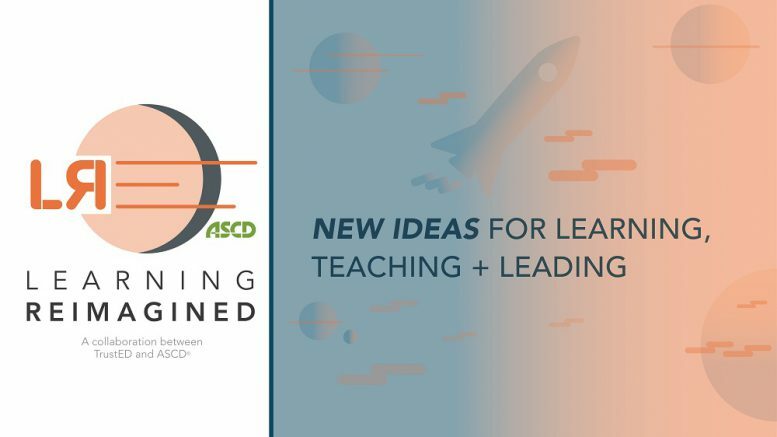 Content coaches, data inquiry leaders, and mentors accelerate teachers’ knowledge and skills in strategic ways, and policy, advisory, and advocacy roles beyond schools contribute to stronger systemic conditions for teachers’ work. However, school and district administrators should not overlook the tremendous power of creating a culture of teacher leadership in which all teachers are supported to be positive influences on the quality of each other’s teaching. All members of a faculty have strengths, from the veteran who knows the community well, to the mid-career teacher who has honed her skill in a particular practice, to the novice teacher whose skills at using technology tools outshine her colleagues’ mastery in this area. If we can look beyond asking, “Who is a master teacher?” and instead ask, “In what ways is each teacher a master?” then we can position our school to better capitalize upon the differentiated expertise of every member of the faculty. We can think strategically about how to increase the frequency and quality of teachers’ interaction, such that they are all “leading” each other for a stronger school. From this perspective, school leaders might ask themselves the following eight questions to help them consider what they can do to create a culture that empowers teachers to informally influence the quality of each other’s teaching. 1. Strategic teaming: Where might regular conversations about teaching and learning occur in my school? Be sure there is a venue and routine that makes it easy for conversations about teaching and learning to occur. Establishing nested systems of teams ensures there is time and space to discuss priorities at all levels (the classroom, team, school level) AND among them. 2. Data routines: What informs the focus of teachers’ conversations about teaching and learning in my school? Be sure you have routines and data systems that enable teachers to regularly review evidence of teaching and learning within and beyond their own classrooms. 3. Culture of shared ownership: Do teachers in my school feel they have permission from one another to discuss the teaching and learning in each other’s classrooms? Be sure to create a culture of shared ownership for student learning AND adult learning throughout the school. This requires trust and a shared vision. It requires risk taking and courage. 4. Inventory of professional expertise: How do teachers in my school know which colleagues to tap when they have a question about teaching and learning? Be sure there are ways for teachers to know what everyone else in the building is good at. 5. Communication structures: How do teachers in my school get a question about teaching or learning answered quickly? Be sure there are tools or systems that enable teachers who have a question about instruction to get it answered quickly by a colleague who might know the answer. 6. Access to professional knowledge base: How do teachers in my school learn about what research and best practices have to say when they have a teaching or learning question? Be sure resources are available for teachers to use to identify answers to questions they cannot address themselves and to get information that will keep them abreast of the latest advances in professional practice. 7. Involvement of family and community: Where and when might teachers in my school engage with family and community members in ways that help fuel and inform conversations about improved teaching and learning? Be sure the school has routines that make it easy for teachers to build relationships with parents around student learning, and to see whether they are aligned with the same aims and values around teaching and learning as family and the community. 8. Safety: Do teachers feel psychologically safe enough to take the risks required to make real change and improvement? The purpose of teacher leadership should be improvement, and improvement doesn’t happen without change. But change is scary, and perceived challenges can easily seem to outweigh potential benefits. Schools struggle to ensure all students are achieving at high levels. We can’t afford not to have all hands on deck, working together and in sync to make their schools stronger. In what ways are teachers already serving as powerful informal leaders in your school? What are the keys to developing and sustaining a culture of teacher leadership? Tell us in the comments. Jill Harrison Berg, Ed.D., is a leadership coach, school improvement consultant and education researcher. 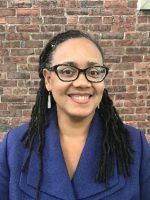 She is the author of several reports, books and articles, including Leading in Sync: Teacher Leaders and Principals Working Together for Student Learning (ASCD, 2018), and “Leading Together,” a monthly column in ASCD’s Educational Leadership magazine. Follow her on Twitter @Teachers_Lead. Be the first to comment on "Creating a culture of teacher leadership"